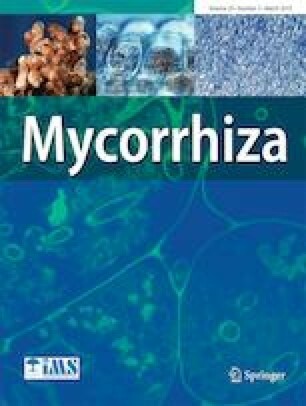 Although only a relatively small proportion of plant species form ectomycorrhizae with fungi, it is crucial for growth and survival for a number of widespread woody plant species. Few studies have attempted to investigate the fine scale spatial structure of entire root systems of adult ectomycorrhizal (EcM) plants. 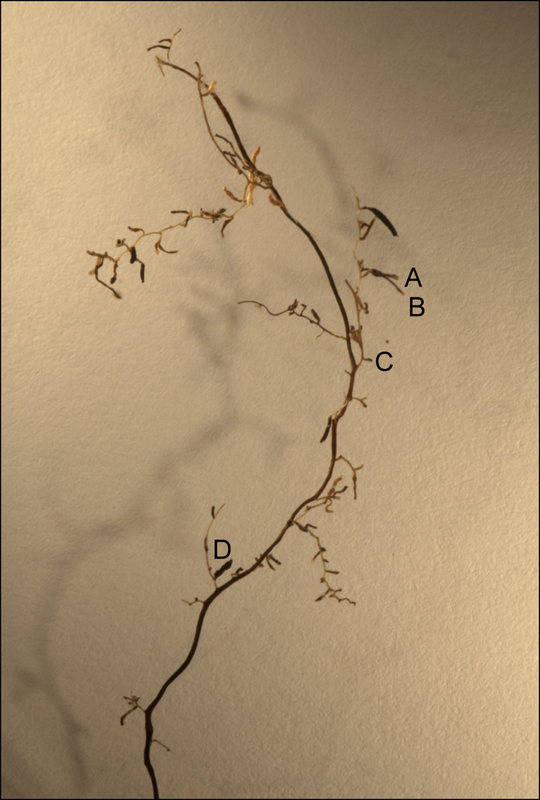 Here, we use the herbaceous perennial Bistorta vivipara to map the entire root system of an adult EcM plant and investigate the spatial structure of its root-associated fungi. All EcM root tips were sampled, mapped and identified using a direct PCR approach and Sanger sequencing of the internal transcribed spacer region. A total of 32.1% of all sampled root tips (739 of 2302) were successfully sequenced and clustered into 41 operational taxonomic units (OTUs). We observed a clear spatial structuring of the root-associated fungi within the root system. Clusters of individual OTUs were observed in the younger parts of the root system, consistent with observations of priority effects in previous studies, but were absent from the older parts of the root system. 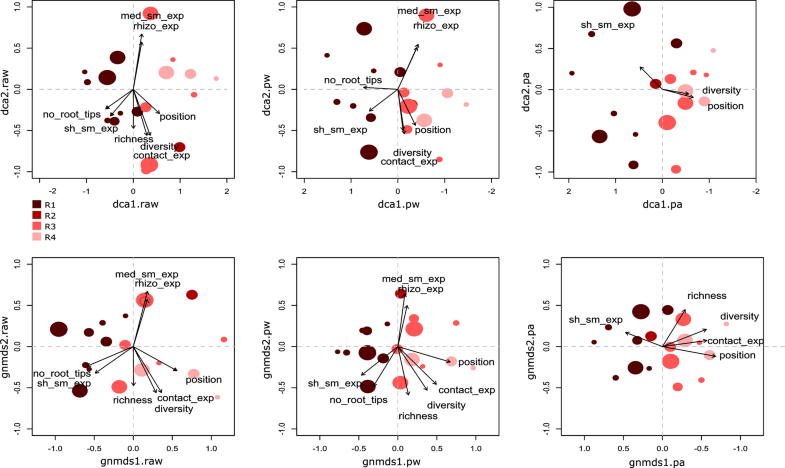 This may suggest a succession and fragmentation of the root-associated fungi even at a very fine scale, where competition likely comes into play at different successional stages within the root system. The online version of this article ( https://doi.org/10.1007/s00572-019-00889-z) contains supplementary material, which is available to authorized users. We would like to acknowledge Cecilie Mathiesen for an excellent effort in preparation of samples for sequencing, Rune Halvorsen for valuable input on ordination methods and Erlend Y. Fines for assistance in graphical design and excellent drawing. All authors have contributed to the completion of the article. The main ideas and design of the study were done by TC, HK and ET. Sampling and laboratory work were conducted by mainly ET, but also ABA and UV. ABA contributed substantially in ideas on analyses of the data. Drafting and writing of the manuscript was mainly performed by ET, but all authors (ABA, UV, AKB, IS, TC, HK) contributed substantially to supervision, ideas and discussion of the results in the writing process. This project was funded by University of Oslo.